After years of political strife, Turkey is in desperate need to a return to something closer to normalcy, but president Recep Tayyip Erdogan’s quest for a "New Turkey,"is likely to intensify Turkey’s internal divisions, academic Louis Fishman wrote in Hareetz on Thursday. According to Fishman, Mustafa Kemal Atatürk, the founder of the Turkish Republic, left a divided country behind. “In fact, modern Turkey can be best described as a country that was built on divisions, and throughout its history no one government - or military coup - has managed to resolve its deeply dissenting political communities,” Fishman said. 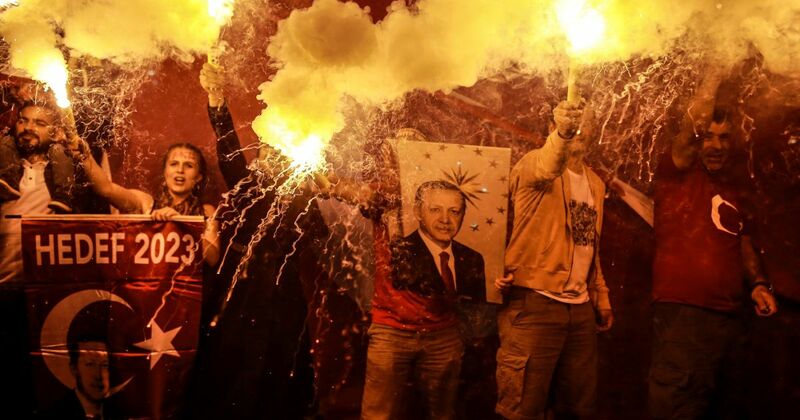 Erdoğan, who Fishman said has spent an entire career positioning himself as an iconic leader in the Ataturk mold, has succeeded in polarising the electorate to unprecedented levels. “After years of political strife, Turkey is in desperate need to a return to something closer to normalcy. But despite Erdogan's victory, it's far more likely there will be more of the same: in one of the warring camps, a disenfranchised opposition, representing a large popular minority, divided among itself, but united in their lack of belief that the state will protect them,” Fishman predicted. In his view, Erdogan’s quest for a "New Turkey," one he hopes will be definitively established in his image by 2023, the 100th anniversary of the Republic, is likely to intensify Turkey’s internal divisions, which are far more than just a religious-secular divide as some outside commentators suggest. Against an energetic opposition, Turkey is still not a one man show and Erdoğan will carefully manoeuvre by setting multiple groups against each other and using oppressive measures against the civil society, according to Fisherman. Moreover, he added, Erdoğan do not have to act according to the values of liberal democracies and, in that sense, he is far closer to the old Turkey than ever before.